At School Success we not only match your child to a tutor according to their difficulties, but also to their personality. This is why they will make a winning pair! 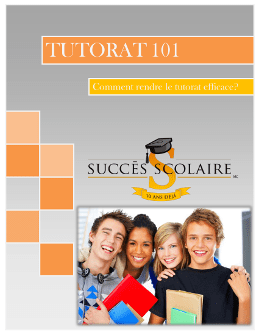 The tutor will come to your home, or will offer online services, depending on your needs. You child and their tutor will, amongst other things, review concepts that weren't well understood, do exercises in order to consolidate what they've learned, catch-up when they've fallen behind in one or more subjects, and ensure proper preparation for exams.